Vacation rental apartment. Sleeps 6, 2 bedrooms, 1 bathroom. No pets allowed. 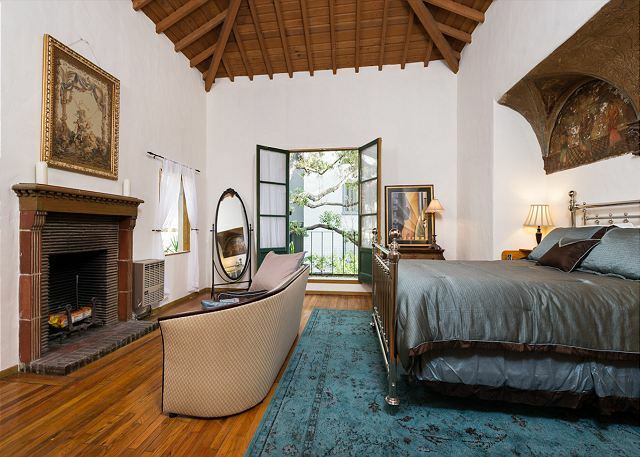 Villa Valentino #8 is an amazing two bedroom, one bath apartment built in the 1920’s. It has been fully restored and fully furnished. 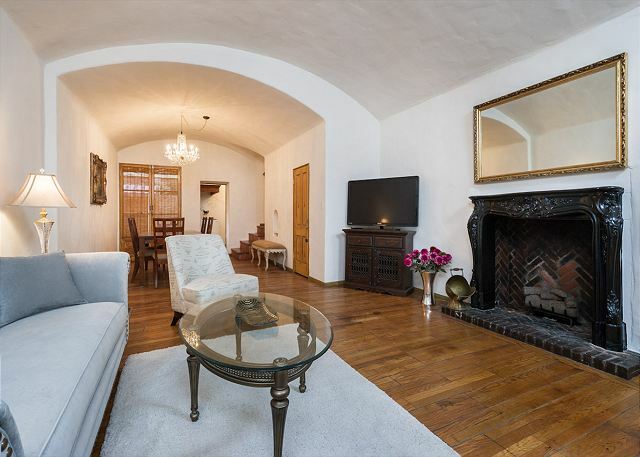 It has two fantastic gas log fireplaces in both the living room and the master bedroom. 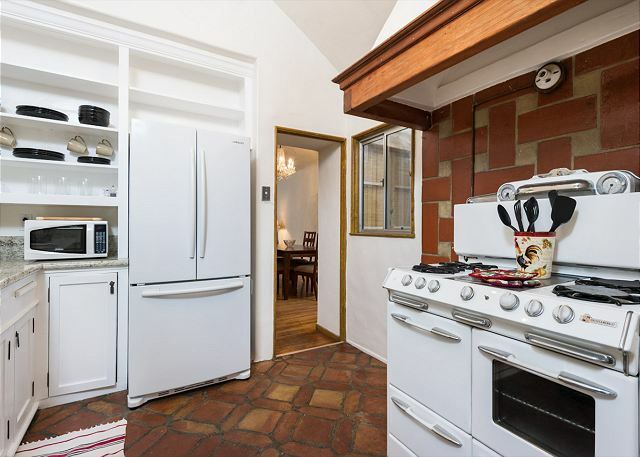 It features a private courtyard with fountain and a beautiful vintage stove in a quaint kitchen that will take you back to your great grandmother's day. There is off-street parking behind a private gate. 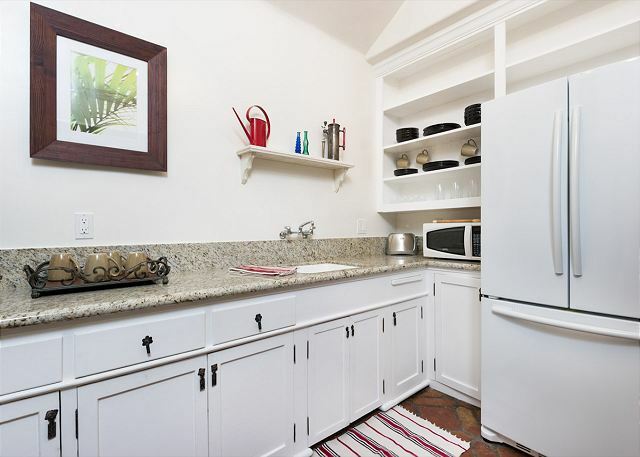 The property is located just 2 blocks south of the Hollywood Bowl, and 2 blocks north of the “Heart of Hollywood” at Hollywood Blvd and Highland Ave. Easy walking access to Disney’s El Capitan Theater, the Kodak Theater, Graumann’s Chinese Theater, the Metro station, restaurants galore and many other attractions. Close access to the 101 Freeway. Ideal spot for Hollywood events! This was my second time to stay in this exact unit and I’m already eager for an excuse to return. The location is excellent - walkable or short Lyft everywhere. It’s immaculately clean and well-appointed. Carrie is very responsive! It’s a quiet respite within Hollywood craziness. We were SO pleased that the pictures were accurate (because they were impressive!). But, they didn’t capture the overall vibe, which was old-Hollywood luxury. Every room was perfectly appointed with everything we needed to be comfortable. The on-site management by Carrie was flawless. 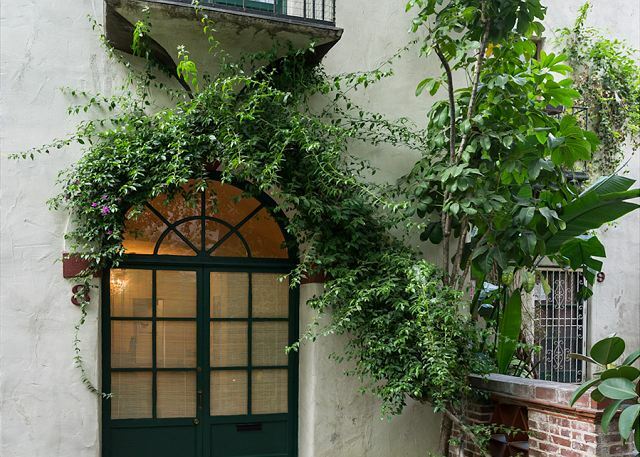 Even the private courtyard between the rental spaces was a lovely surprise between morning (lush and well cared for) and night (softly lit throughout) - We can’t waif to return! I stayed in Villa Valentino #8 the week of Thanksgiving to cook for my adult sons that live in LA. They also ended up staying because they loved it too. Although I read all the great reviews, I was still skeptical about the area. Once I entered through the security locked gates, I felt like I was in a safe haven. Walking through the whimsical gardens to get to my villa was an experience in itself. The home was filled with so much personality. Each room told it's own story. The over all cleanliness was very impressive. The beds were so comfortable which was probably why I just wanted to sleep in or just read in the mornings. My vacation turned into a staycation in my villa for the week. I enjoyed every moment of my stay. I did plenty of cooking for tge week and never had any issues. The kitchen was stocked with every appliance I personally needed. I have been to LA many times so this visit was all about family, relaxation and cooking. It is however close to all the major attractions. Carey is definitely a crown jewel. She was extremely flexible when my arrival time changed without notice. We never had any major issues so I didn't need to bother her during our stay. The only downside was the early morning construction noise and the late night parties our neighbors seemed to start right at 3:00 am. We sucked it up to hey, they are vacationing too so no worries. Our overall experience was more than we could have planned for ourselves. Thank you for a beautiful and unique place to call home for a week. This will be my home away from home when I am in LA again. It’s always a pleasure to check in to the Hollywood hideaways villas. This was our second stay there in 2-3 years and we would happily go back if we are in LA again. 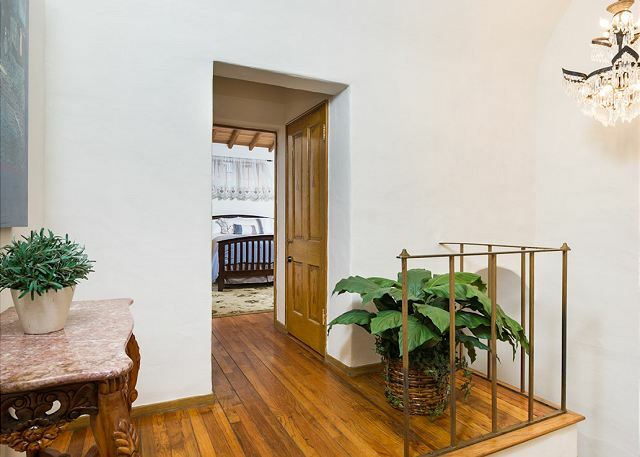 The calm and cool atmosphere of a bygone era envelops you as you step into this tastefully well-maintained period cluster of homes and gardens with seating areas. 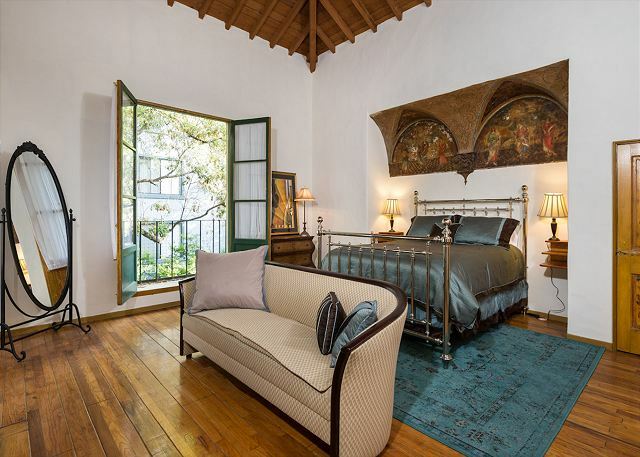 We stayed in Villa no8 this time and it’s a jewel, with its spacious master bedroom with a small overhanging balcony, & its own little patio with a fountain being the highlights. The furniture is also quite pretty in this villa. The best advantage of the property which sets it above other vacation rentals is it’s manager, Carrie. She’s a very sweet and helpful person by nature. She always responded very helpfully to our requests and even when it was at a short notice. My daughter and I were staying by ourselves and we always felt at home and safe here. In fact, the villa was so cosy that leaving it to go out sightseeing was a bit of an effort every time & we ended up spending our last day happily indoors. The barbecue and seating area outside the villa is also very handy for inviting a few guests over. 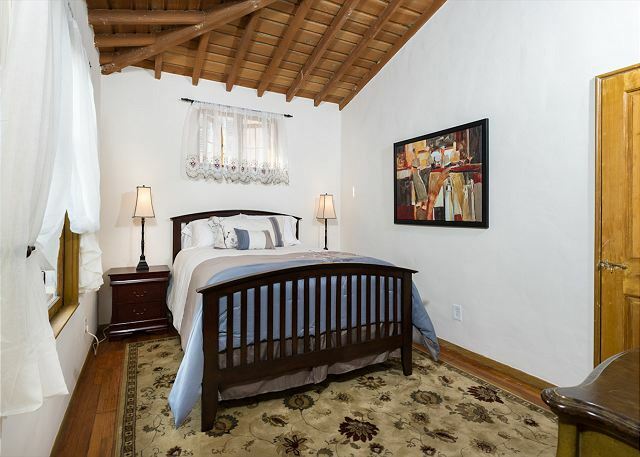 Location-wise, the villa is within very easy walking distance to the Hollywood walk of fame and all it’s main attractions. Universal studios is also a very short taxi ride away and downtown LA is usually within a 30 mins ride away. Surprisingly peaceful for such a busy part of town. 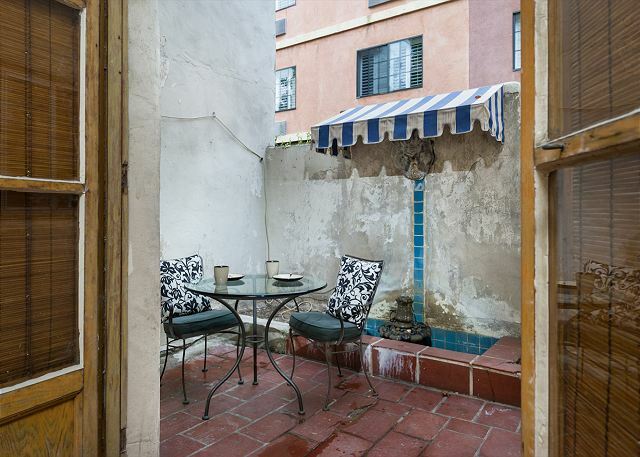 We were visiting the very heart of Hollywood so we were very surprised to step only twenty yards back from the main road into such a beautiful, quiet, courtyard where we could relax. We did this first thing in the morning and at the end of each day. A real bonus. The property itself was excellent in every respect - clean, modern, and every convenience available. Carrie, our host, could not have been nicer. We loved our stay. Unit 8 at Villa Valentino was a beautiful, well kept, very large art deco unit that we loved. 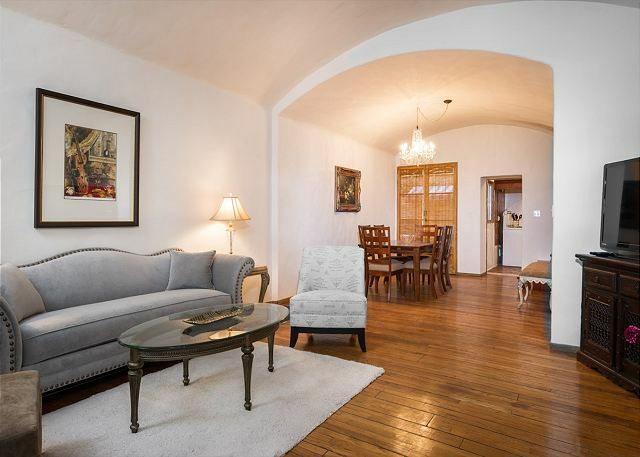 Tons of character, an amazing master bedroom and spacious dining room/living room. The common courtyard is lovely and we used it everyday. It was one of my favorite places to stay; so much character and the value can't be beat. We also loved the location. Beautiful places to take a morning walk and so convenient both walking and driving to many places in the city, as well as Universal and Warner Bros. Carrie, the manager, was amazing. A-plus overall and we hope to be back! 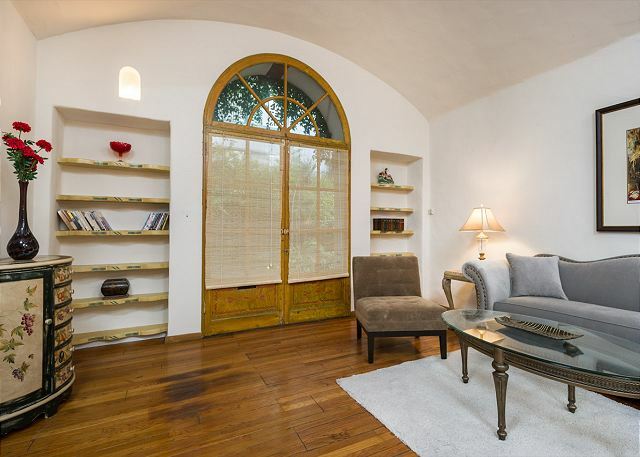 Villa Valentino is an amazing gem in Hollywood. They have parking, a lovely manager, and charm like no other place I have stayed in Los Angeles. I have stayed here multiple times and in multiple rooms. There is not a room that is not full of character. Clean, friendly, adorable, charming, etc!!! Carrie the on site property manager was brilliant. I had asked her to get some shopping in for us as we would not be arriving until late evening - this she happily did and was there to welcome us on arrival. We loved the property, it was so quaint and was so well hidden from the road you would never have guessed it was there!!! So convenient for Hollywood and the highway. It was great to be able to park the car so securely. There were renovations going on in some of the other properties on site but we were never disturbed by any noise and the workmen were lovely, polite and friendly. We were sad when our stay came to an end and would love to return in the future. Highly recommended. Carrie - we loved you and your Hollywood gem. Perfectly close to Hollywood. Property is adequate. Very roomy. Master bed was very hard:( property construction was loud next door. Staff was friendly. Wifi was spotty, no DVD player. Not my best stay but it fit the bill. Top rated Location, Comfort & Management! 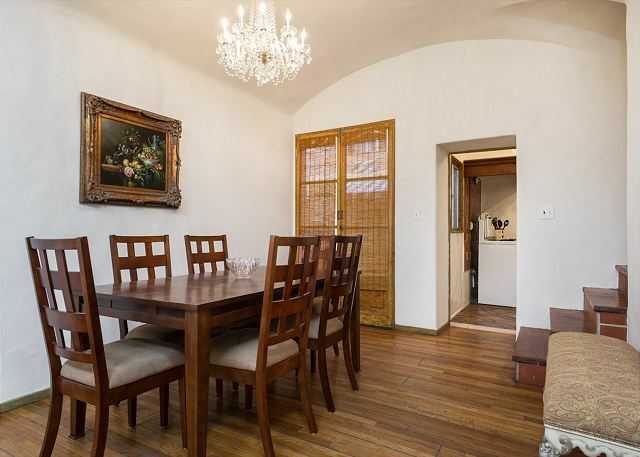 The property is under a total renovation and when it is complete it will be beautiful. This did not sway us from giving it a 5 star rating. We stayed in unit number 8 and it had the feel of a European villa with all the modern conveniences.The beds had the best pillow top mattresses that we have slept on and we have stayed at some top notch hotels! 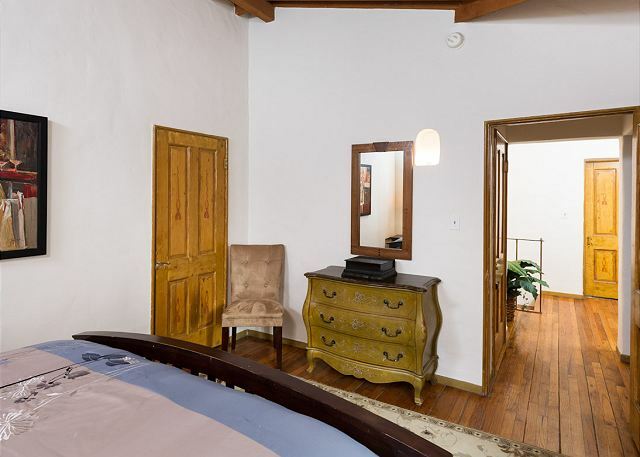 Spacious, clean, beautifully furnished and with a great location. ( A few blocks from the center of Hollywood Blvd.) This is a gated building and we felt very safe with our 3 children for our entire stay. 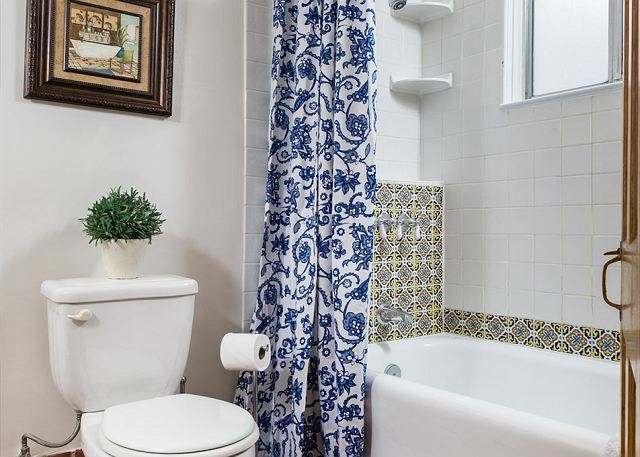 An easy walk to the center of Hollywood Blvd and close proximity ( a very easy drive) to all other attractions like Venice Beach and the Studios. We did not need much but when we needed more towels or when our internet connection went out Cecelia was right there within a few minutes to assist. She was wonderful! We will be sure to be back at Villa Valentino on our next Hollywood trip. Thanks for a great 3 nights in Hollywood! If you are looking for a place that is new construction then keep looking. 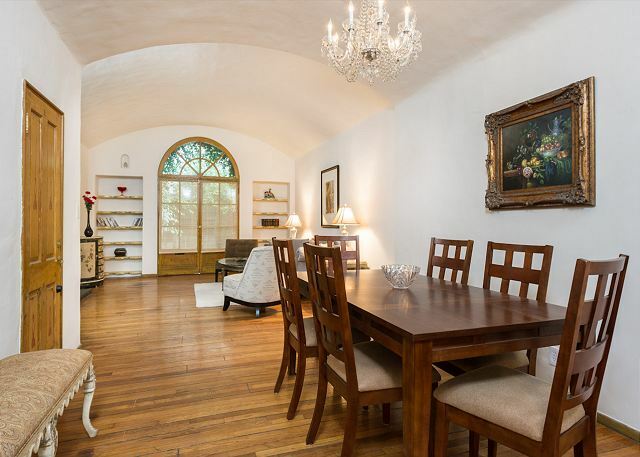 This is a great restoration of an historic site right in the heart of Hollywood. The rustic look and secluded location made for a great weekend. Great value for your money also.